Interior with custom-made library was made with the client's request that the library look as though it has always been there. The library fitting in with the original restorations of the property. The Macassar Ebony is showcased with a subtle curve at the upright edges, in keeping with Art Deco design. 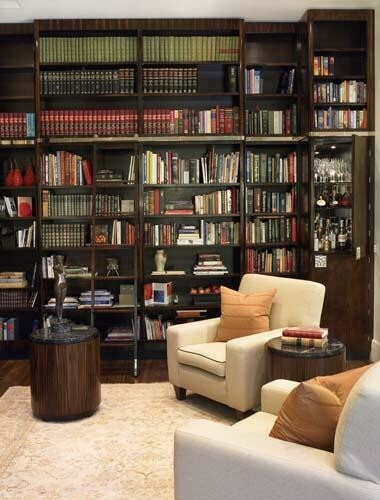 A silvered-bronze rail around the face of the library, accommodates a sliding ladder.